Visit MTL, part of Eaton’s Crouse-Hinds business, at UK AD & Biogas 2014, where we will be exhibiting our latest range of innovative gas analysis products and solutions for the AD and biogas industries, helping you to optimise the performance, efficiency and operational challenges of your installations. 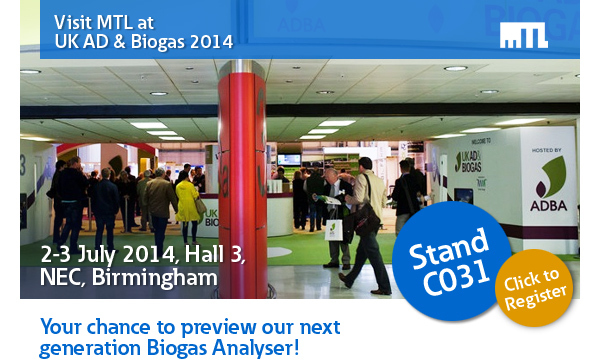 Be the first to see the next generation in biogas measurement from MTL. 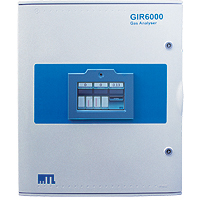 Our new MTL GIR6000 biogas analyser builds on a wealth of experience in gas measurement and hazardous areas and offers many benefits through its state of the art design features. But don’t take our word for it, come and take a look on stand C031 and find out more about how we can help to deliver these benefits to you. © Eaton 2014, All Rights Reserved. Privileged information and/or copyright material may be contained in this email. If you are not the intended addressee you may not copy or deliver it to anyone else or use it in any unauthorised manner. To do so is prohibited and may be unlawful. If you have received this email by mistake, please advise the sender immediately by return email and delete all copies. Thank you.